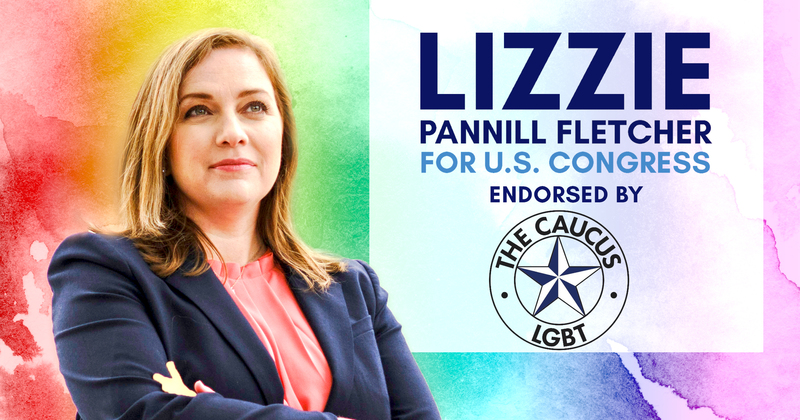 Houston, Texas – Democratic primary runoff candidate Lizzie Pannill Fletcher announced today the endorsement of the Houston GLBT Caucus, one of Houston’s largest advocacy organizations. During the in-person endorsement meeting, Fletcher received the official recommendation of the screening committee and went on to receive the majority of votes from the general membership. The Caucus endorsement further solidifies Fletcher’s local support, which has continued to grow since the primary election on March 6. Since then, she has announced the endorsements of: City Council Member Mike Laster, Former State Representative Sissy Farenthold, Former Houston Mayor Fred Hofheinz, Former City Council Member Gordon Quan, Former City Attorney and County Commissioner Gene Locke, and Former City Council Member Jim Greenwood. In the primary election, Fletcher won 96 out of the 143 TX-07 precincts where Democrats cast ballots. Out of 34,211 ballots, she received 9,768 votes (or 29.36% of the vote) and finished first in the early vote, absentee ballot vote, and Election Day vote.